PHILADELPHIAU.S. Secretary of Health and Human Services Kathleen Sebelius says she doesn't want to intervene in transplant decisions about a dying Pennsylvania girl when three other children at the same hospital are just as sick. Sebelius, who called the transplant decision "incredibly agonizing" says medical experts should make those decisions. But, relatives of 10-year-old Sarah Murnaghan said Sebelius' remarks confused them because they want a policy change for all pre-adolescent children awaiting lung transplants, not just Sarah. Under current policy, only patients 12 and over can join the transplant waiting list. But Sarah's transplant doctors say she is medically eligible for an adult lung. Sarah's aunt Sharon Ruddock says older children should be eligible for adult lungs because so few pediatric lungs are available. She says that would add just 20 children to the 1,600 people on the adult waiting list. "One moment they say we're asking for an exception for Sarah. The next moment they say we're asking for sweeping changes and it has to be studied," Ruddock said Tuesday. Sebelius has called for a review of transplant policies, but the Murnaghans say Sarah doesn't have time for that. The Newtown Square girl has been hospitalized at Children's Hospital of Philadelphia for three months with end-stage cystic fibrosis, and is on a ventilator. Sarah's family took her plight to Change.org in May where they posted a petition asking the Organ Procurement and Transplantation Network (OPTN and United Network for Organ Sharing (UNOS) to change the transplant policy. Her parents have said the severity of Sarah's illness would normally make her the highest priority for an adult lung, but all adults in the region with her blood type will be offered the lungs first, even those who are in less severe situations. 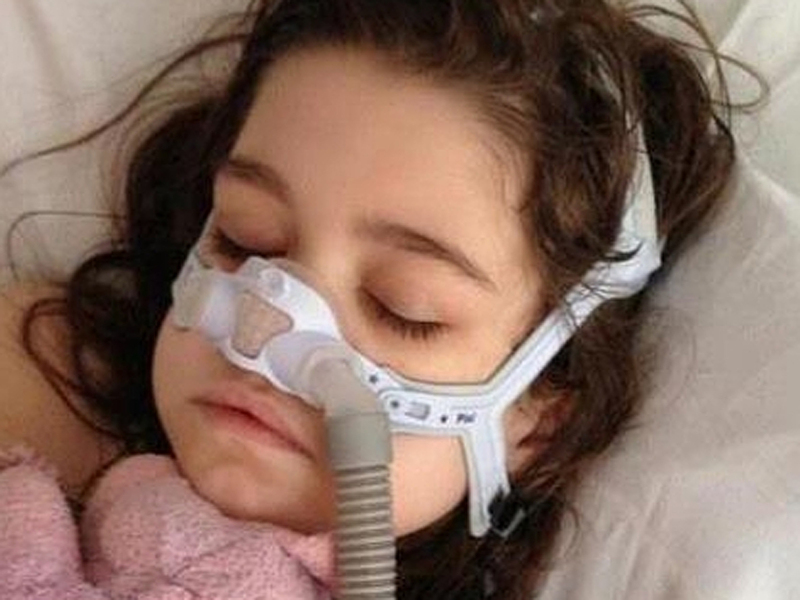 "We don't want preferential treatment for Sarah, we want equal treatment," her mom Janet said last Sunday. "We want it to be a triage system like they do for everyone else where the sickest patient goes first and ones with ability to wait, wait." There were only 10 lung transplants completed on children 10 and under in 2012, according to OPTN, compared to 1,744 lung transplants on people 11 and older that same year. This week, Sebelius had asked OPTN to review the lung policy. Sebelius asked that a "transparent, deliberative" review be done as soon as possible "with the intent of identifying any potential improvements to this policy that would make more transplants available to children" consistent with the goals of fairness and best use of organs. She said the disparity between donors and children awaiting transplants is "especially stark." She also said she is asking federal officials to "consider new approaches for promoting pediatric and adolescent organ donation." "The policy development process is not fast," UNOS spokesperson Anne Paschke said in an email to The Associated Press at the time. "Organ allocation policies are created to transplant as many people as possible overall, result in the fewest waiting list deaths overall and result in the best possible survival overall. In developing policies, committees and the board weigh data, medical evidence and experience, and public input." Lawmakers have also petitioned Sebelius to take action. "I'm begging you. ... She has three to five weeks to live. Please suspend the rules," Rep. Lou Barletta, R-Pa., urged Sebelius at a House Education and the Workforce Committee hearing on her department's budget. Sebelius conceded that the case was an "incredibly agonizing situation," but said that many complex factors go into the transplant-list formula. Amid concerns about the higher mortality rate in pediatric patients waiting for lung transplants, the network has tweaked its policies in the past few years, Roberts said. The new rules give the younger children priority over adults when adolescent lungs become available and give the sickest children priority in a 1,000-mile radius, a broader range than used in the adult system, he said in the letter, which was shared by the office of Rep. Patrick Meehan, R-Pa.
Meehan, in a letter to Sebelius, said Sarah's doctors are confident they can perform a successful transplant on her. And he said she would jump to the top of the adult list if placed there, given the stage of her disease. "If she was 12 this wouldn't be an issue," Meehan wrote. "Sarah is not asking to be placed ahead of another, but rather she is petitioning for the ability to compete for equitable treatment based on sound medical judgment and that she be accorded her appropriate place in line. Her need and survivability are the critical factors."